Tiffany clocks are part of the line of products sold by Tiffany & Company, and include mantle, carriage, and grandfather clocks. Tiffany mantle clocks are sometimes very expensive, and are often given as gifts for special occasions. Tiffany's offers engraving to personalize the memento. 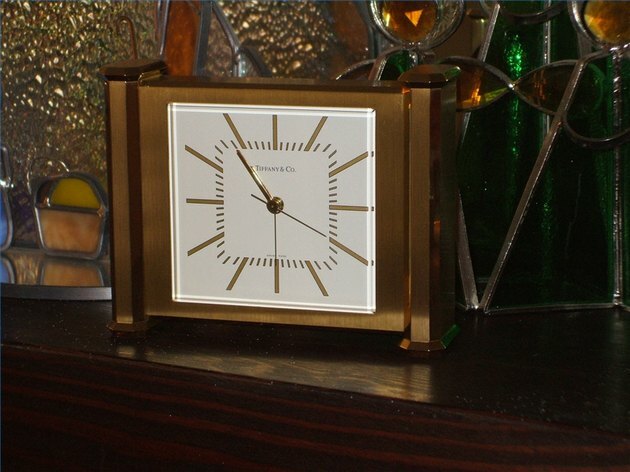 The mantle clock shown here has a removable back to access the battery. Here's how to change it. Lay the clock face down on a soft towel or blanket to avoid scratches. 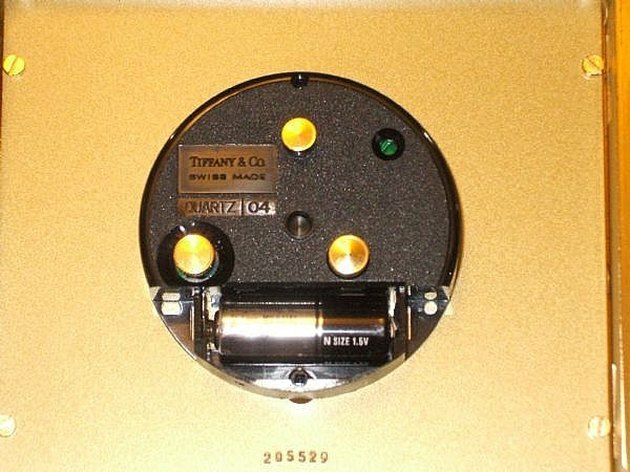 Locate the retaining screw on the back of the clock. Loosen and remove it by turning counter-clockwise. 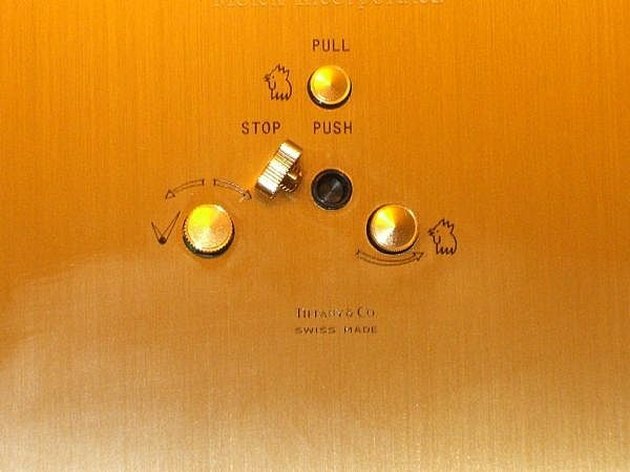 Remove the back plate. Remove the battery cover from the clock movement using a small screwdriver. 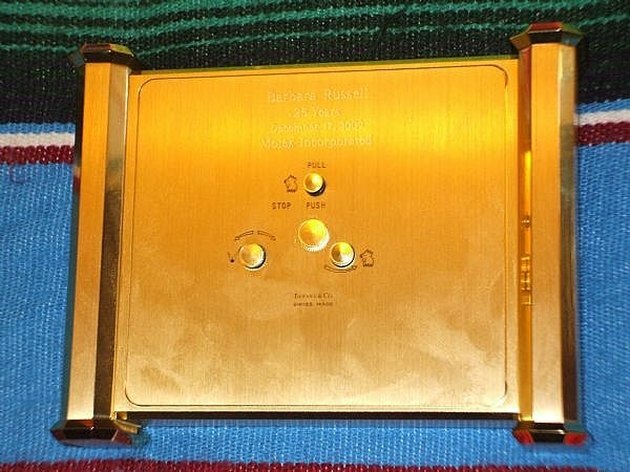 Be careful not to pry against the brass case. Remove the old battery, and install a new one of the same type. Follow the polarity markings inside the compartment. The battery shown here is an LR1, also called an N cell; yours may be different. Check to see that the second hand is moving. If not, double check the battery polarity. Replace the battery cover and snap it into place. Replace the back cover, and secure it with the retaining screw. Return the clock to the mantle, and enjoy!